This month we have been travelling to FRANCE ! Apart from being my wife´s country and mine (half of me only !!) it is the biggest importer and so consumer of Natural Slate in the world. And in France, Brittany in the extreme north west of France is THE slate place by far in the world. 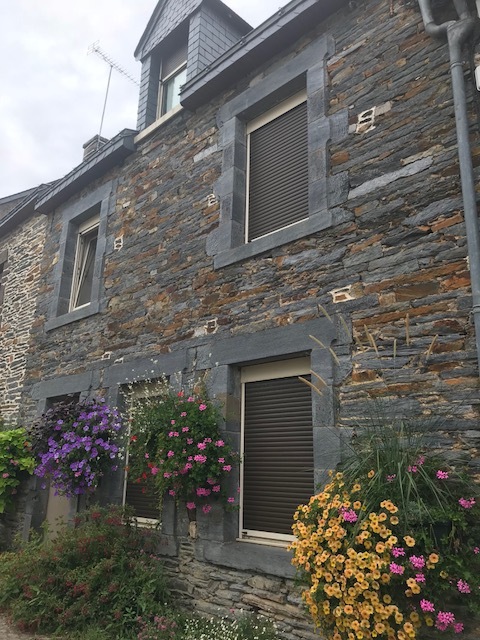 It is very well known for its thousands of natural slate roofs, of course, but here the entire houses are made in slate. Walls, roofs, floors, windows silks, doors silks... and all kind of decoration as well. In the famous village of "Rochefort-en-terre" you can even find a SLATE SHOP - "L´Ardoiserie". 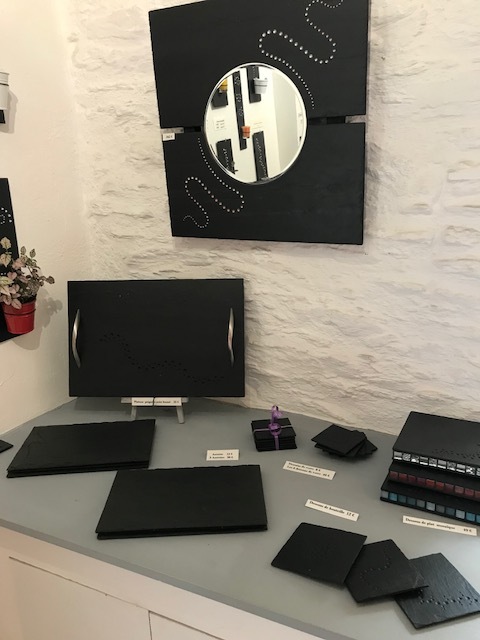 Everything you can imagine is made in natural slate : lights, plates, coasters, mirrors, vases...The best of the shop is for sure the owners, Sophie & Romuald, who have spent their lives creating slates objects. 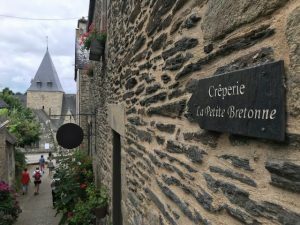 Outside of being a Slate Village, Rochefort-en-Terre has been elected the "most beautiful village of France". So even if you have nothing to do with slates, you can go and visit this wonderful part of the world. Next month, we will go to the World Stone Show in Italy so unfortunately we will not be attending the SRCA Conference but we know that we will be well represented ! be good, be nice and be natural !